Spam is one of the greatest threats to your website. Luckily, there are strategies you can employ to help fight spam as you update your website. Today, there are more types of spam than there were in the past. In the past, the term referred specifically to unsolicited commercial e-mails, but today it refers to blog posts that are designed to advertise something rather than to inform or entertain, pages that provide links to sites that have no value to the person clicking them and to other online scams that trick people into clicking on something that is malicious, deceptive or otherwise undesirable. 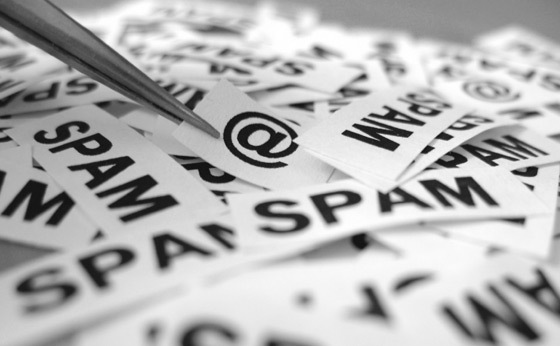 Fighting against spam oftentimes employs technological and human solutions. Here are some basics that you should understand. Sometimes, spammers will use web forms as ways to propagate their schemes. The best way to fight against this as you update your website is by using what’s called a captcha. A captcha is something you’ve probably seen before. It consists of an image that contains text that the bots that spammers use cannot read. In order to submit a form, the user has to fill in a field that verifies that they’re human beings by proving that they can read the letters in the captcha. A website designer can implement these on your site very easily as you update your website. Spamming forums and blogs is one of the most established ways that spammers go about their business. The way it works is that they will post a reply to something posted on the blog or forum and fill that reply with links to sites that they make money off of or thinly concealed advertisements for products. Sometimes, the links will go to sites that present a genuine hazard to the people who visit them. It’s important to control this. Depending on what type of blogging technology you use, your website designer will be able to install automatic systems that look for spam and eliminate it when they find it as you update your website. These, however, are only part of the solution. The other part of the solution is human control over what goes up on the blog. Having posts reviewed and replies reviewed before they go online is the best solution to this. Your website designer can set you up with a system that makes it easy enough to do. If your website gets a reputation as a place where people are at risk due to spam, they’re going to quit showing up to it. It might be because of irritation or a legitimate concern for their safety. As a website owner, you should take advantage of any technological and procedural methods of controlling and eliminating spam and employ these when you update your website.